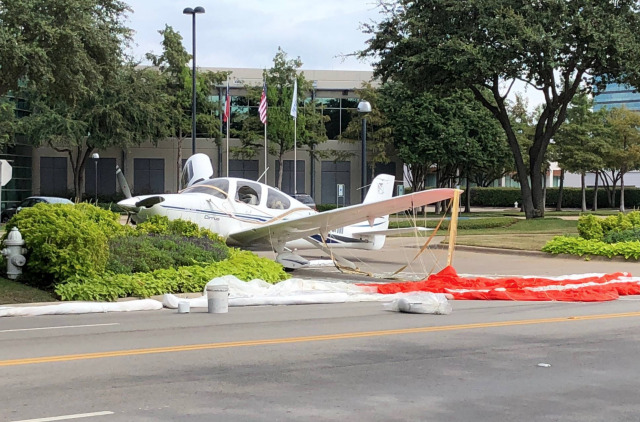 On September 30, 2018, about 1121 central daylight time, a Cirrus SR22 airplane, N818GM, impacted terrain following a loss of engine power near Addison Airport (ADS), Dallas, Texas. The pilot and flight instructor were not injured, and the airplane was substantially damaged. 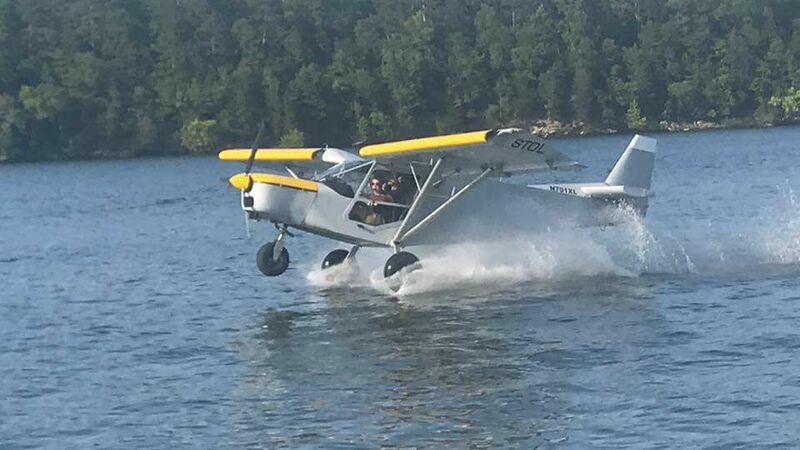 The airplane was registered to and operated by the pilot under the provisions of Title 14 Code of Federal Regulations Part 91 as an instructional flight. Day visual meteorological conditions prevailed for the flight, which departed ADS about 1115 and was destined for Waco Regional Airport (ACT), Waco, Texas. While on departure climb about 2,800 ft above mean sea level, the pilot and flight instructor noticed multiple avionics malfunctions and turned back toward ADS. During this turn, the engine lost total power and indications of a fire were noticed. After the flight instructor and pilot recognized the airplane was not within gliding distance of ADS or a suitable forced landing area, the pilot initiated the Cirrus Airframe Parachute System (CAPS). The airplane descended under parachute into a parking lot and the main spar was damaged. On-site examination revealed the right side of the engine cowling was burned through near the exhaust system. The airplane was retained for further examination. The pilot of a single-engine plane made an emergency landing shortly after taking off from Addison Airport Sunday morning. Shortly after taking off from Addison at around 11:15 a.m., the pilot of the Cirrus SR22 reported engine and instrument troubles, according to the Federal Aviation Administration. 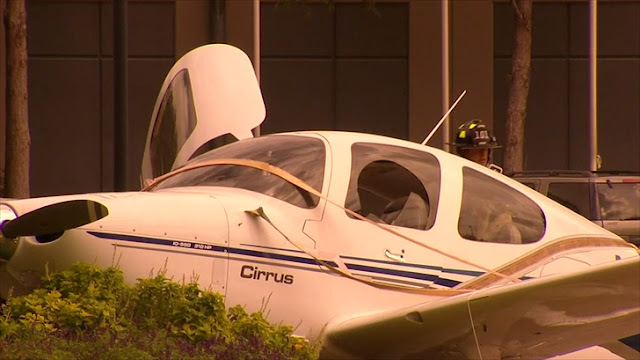 The pilot attempted to return to the airport but instead declared an emergency. 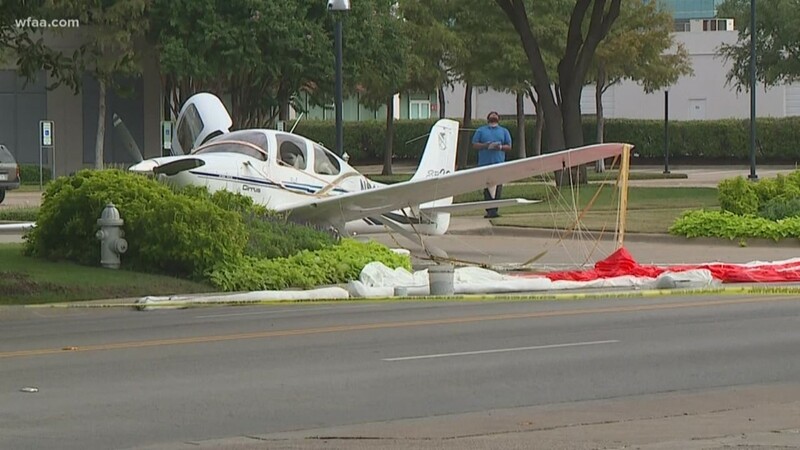 The pilot told air traffic control the plane would not be able to make it back to Addison. The Federal Aviation Administration said the pilot deployed the Cirrus’ emergency parachute with the plane coming to rest near Alpha Road, about a mile and a half south of the airport. Although he had no night or instrument flight experience, the sport pilot departed in a non-instrument-certificated light sport airplane at night with an overcast ceiling and thunderstorms in the area. Radar data showed that the airplane proceeded on course for about 9 minutes and then entered a right descending turn that continued to ground impact, which was consistent with the pilot attempting to return to the departure airport and not paying attention to his altitude. Examination of the accident site revealed that the airplane struck open level farm land in a right wing-low, nose-low attitude. Examination of the engine and airframe did not reveal any evidence of preimpact anomalies that would have precluded normal operation. 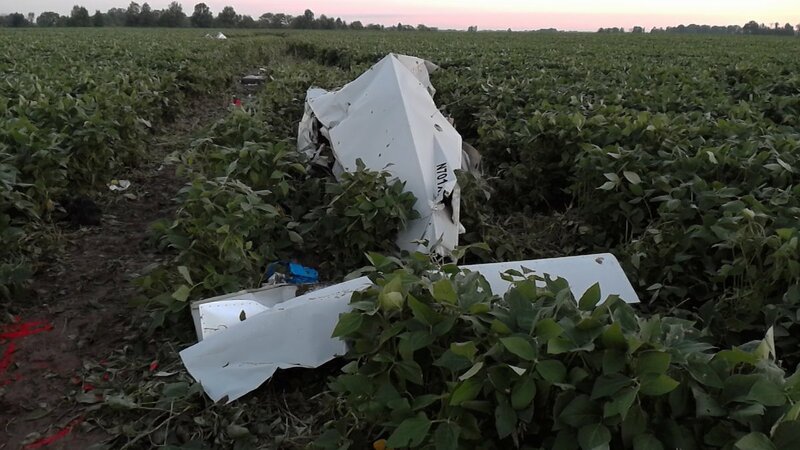 It is likely that the pilot continued visual flight into an area of instrument meteorological conditions, which resulted in the pilot experiencing a loss of visual reference and subsequent spatial disorientation. The pilot had a history of chronic insomnia treated with temazepam, a sedating benzodiazepine, and was regularly prescribed hydrocodone, an opioid analgesic. Toxicology testing detected these drugs and their metabolites in the pilot's system. The pilot was likely impaired by effects from his use of temazepam, and the impairing effects of temazepam were likely enhanced by the pilot's use of hydrocodone. It is likely that the pilot's decision-making was degraded due to his combined use of temazepam and hydrocodone. The pilot's decision to take off at night and continue visual flight into instrument meteorological conditions. which resulted in the pilot becoming spatially disoriented and losing control of the airplane. 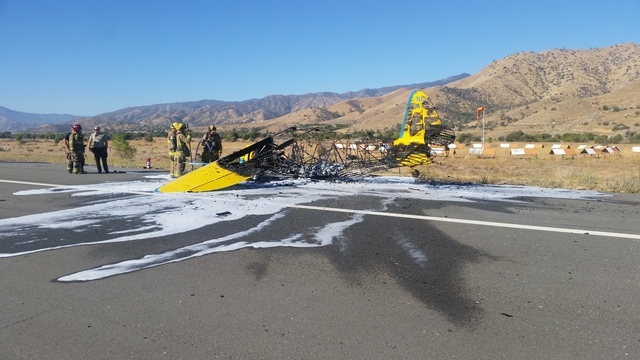 Contributing to the accident were the pilot's degraded decision-making due to his use of a combination of impairing prescription drugs, and the pilot's lack of instrument and night flight experience. On July 27, 2017, at 0452 central daylight time, a Zenith CH 701SP, N701XP, was destroyed when it impacted a bean field about 6.5 miles north of Laddonia, Missouri. The sport pilot and passenger were fatally injured. The airplane was registered to and operated by the pilot under the provisions of Title 14 Code of Federal Regulations (CFR) Part 91. Instrument meteorological conditions prevailed at the time of the accident, and no flight plan had been filed for the personal cross-country flight. The flight originated from Mexico Municipal Airport (MYJ), Mexico, Missouri, about 0440, and was en route to Whittman Regional Airport (OSH), Oshkosh, Wisconsin. According to the airport manager at MYJ, the airplane with the pilot and his passenger on board arrived late in the day on July 26, 2017. The pilot said he wanted to get an early morning start because he wanted to arrive at OSH when the control tower opened at 0700. A self-service fuel receipt charged to the pilot's credit card indicated that he purchased 17.8 gallons of fuel at 2038 on July 26. The manager said he believed the pilot and his passenger camped that evening next to the airplane. When the manager arrived at the airport the next morning, the airplane was gone. According to radar data provided by the U.S. Air Force/Civil Air Patrol, the airplane first appeared on radar at 0443:46 when it was about 5 miles east of MYJ. According to the data, the airplane's altitude varied between 2,000 and 2,800 feet above ground level (agl) as it maintained a northeast heading. The airplane then entered a right descending turn and had completed about 180° when radar contact was lost. The last radar return was at 0452:46, when the airplane was about 6.5 miles northeast of Laddonia, Missouri. 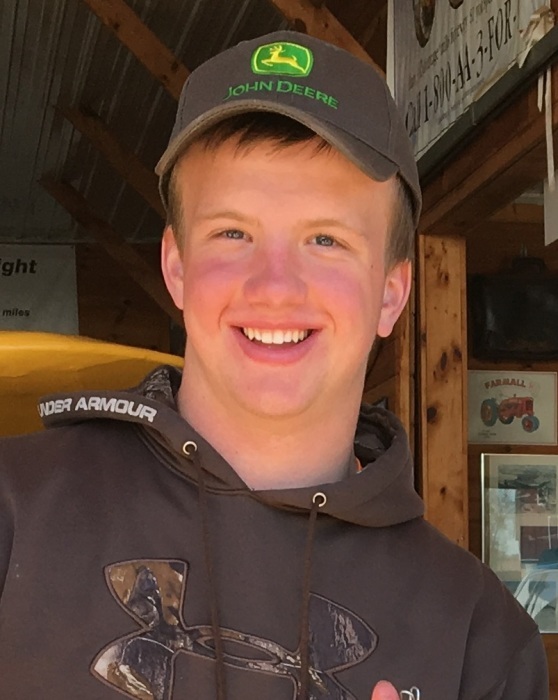 A family member later reported that the airplane was missing and an Alert Notice (ALNOT) was issued on the evening of July 27. 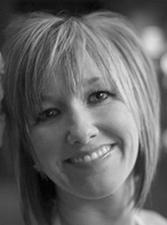 Search teams located the wreckage early on the morning of July 28. 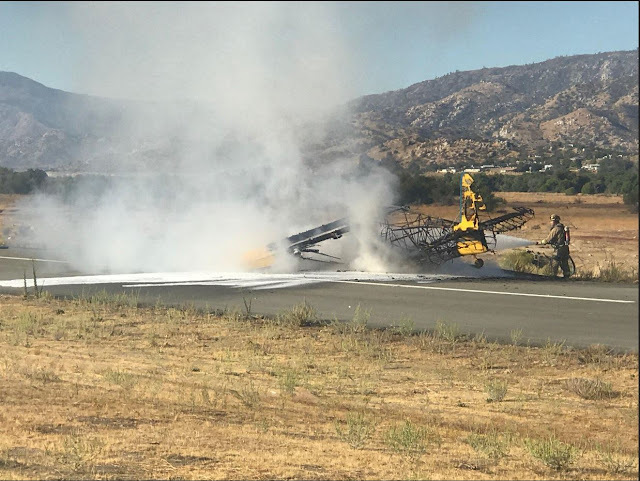 According to Federal Aviation Administration (FAA) records, the pilot held a sport pilot certificate with a single-engine land rating. He was not instrument rated. A copy of the pilot's logbook contained entries from December 28, 2014, to July 19, 2017. The pilot's logbook entries were inconsistent: some of the entries were entered in tenths of an hour, and other entries were in minutes. No night or instrument flight time had been logged. According to 14 CFR 61.315(c)(5), sport pilots are prohibited from flying at night. 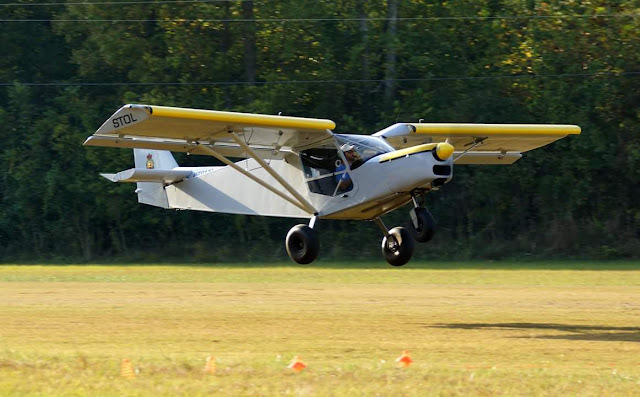 The experimental light sport airplane was constructed by a private individual in 2003, and later purchased by the pilot. It was powered by a 100-horsepower Rotax 912ULS engine, driving a 3-bladed Warp-Drive 70-inch fixed pitch composite propeller. A copy of the maintenance records contained entries from December 11, 2013, to May 1, 2017. A condition inspection was performed on the airframe and engine on May 1, 2017, with 1,142 flight hours recorded in the logbook. The airplane was not equipped nor certified for instrument flight rules (IFR) flight. There was no record that the pilot had obtained a preflight weather briefing. At 0414, MYJ reported a visibility of 1-1/2 miles in heavy rain, broken clouds at 1,100 feet, and overcast at 1,900 feet. At 0435, MYJ reported winds from 240° at 7 knots, visibility 7 miles in light rain, broken clouds at 600 feet and 1,200 feet, and overcast at 1,900 feet. The temperature-dew point spread was 1° (23/22). There was distant lightning in the north through east quadrants, and in the west quadrant. At 0455, MYJ reported winds from 230° at 7 knots, visibility 7 miles, with a thunderstorm and rain in the vicinity. There were scattered clouds at 600 feet, broken clouds at 3,300 feet, and overcast skies at 4,800 feet. The temperature-dew point spread was 1°, and there was distant lightning in the north through east quadrants and in the west quadrant. 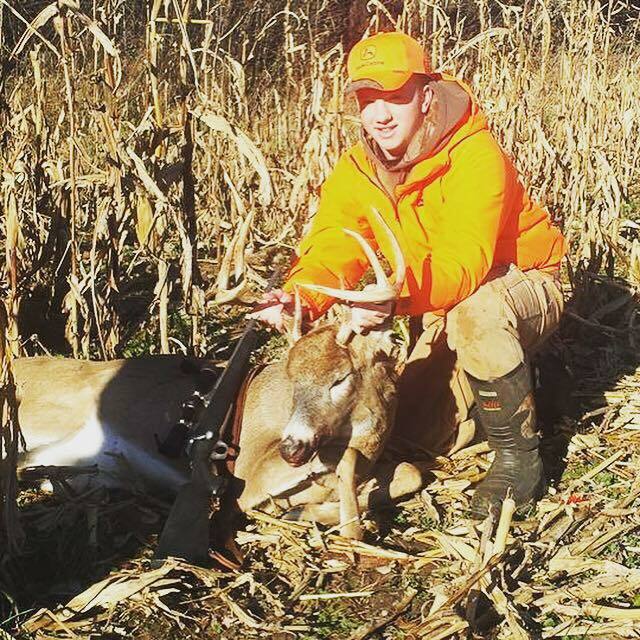 The accident site was located 6.5miles northeast of MYJ in open level farm land. Green position light lens fragments were found at the beginning of a ground scar that was 36 feet long and aligned on a magnetic course of 121°. At the end of the ground scar was a water-filled impact crater, followed by a debris path that extended 252 feet on a magnetic course of 130°, which was about the direction to MYJ. The crushed right wing and lesser damaged left wing were located farther down the debris path, preceded by a flap and aileron. The fuselage, cockpit, and empennage were located 84 feet from the impact crater and to the left of the debris path. The engine was located 210 feet from the impact crater. The Boone/Callaway County Medical Examiner's Office, Columbus, Missouri, performed an autopsy on the pilot. According to the autopsy report, death was attributed to "blunt force injuries." The toxicology screen on the pilot performed by St. Louis University's Toxicology Laboratory Berkeley, Missouri, revealed the presence of 0.040 gm% (40 mg/dl) ethanol, 0.11 micrograms/ml temazepam, 33 micrograms/ml acetaminophen, and 0.91 micrograms/ml sertraline. FAA's Bioaeronautical Science Research Laboratory, Oklahoma City, Oklahoma, performed toxicology screening that revealed the presence of 10 (mg/dL, mg/hg) ethanol in urine, and 36 (mg/dL, mg/hg) ethanol in blood. Propanol, a metabolite of ethanol, was detected in blood and urine. The presence of propanol is consistent with postmortem alcohol production. The report noted that putrefaction had occurred, and the blood was unsuitable for carbon monoxide analysis. Also detected were 114.72 (ug/ml, ug/g) acetaminophen in urine; 0.007 (ug/mL, ug/g) dihydrocodeine in blood and 0.067 (ug/mL, ug/g) in urine; 0.144 (ug/ml, ug/g) hydrocodone in urine but not in blood; 0.054 (ug/mL, ug/g) hydromorphone in urine; 0.36 (ug/ml, ug/g) oxazepam in urine but not in blood; an unknown quantity of sertraline in urine and 1.23 (ug/mL, ug/g) in blood, and an unknown quantity of salicylate in urine. According to the pilot's medical records, the pilot had a history of chronic insomnia that was being treated with temazepam. (Oxazepam is a psychoactive metabolite of temazepam. Temazepam (Restoril) is "a sedating benzodiazepine available by prescription and intended for short-term treatment of insomnia." The drug carries several warnings, including "concomitant use of benzodiazepines, including temazepam and opioids, may result in profound sedation, respiratory depression, coma, and death." There is also a warning that the drug can cause "behavior changes, such as increased aggressivity, and patients using it may engage in complex behaviors while under its influence, such as 'sleep driving'" that they may later not recall. The pilot was also being treated for anxiety with sertraline, and had been regularly prescribed hydrocordone. Sertraline (Zoloft) is a prescription antidepressant that is not considered impairing. Hydrocodone, an opioid analgesic, is considered impairing and carries warnings about risks of central nervous system and respiratory depression, particularly when combined with benzodiazepines. In addition, the drug information warns that it "may impair the mental or physical abilities needed to perform potentially hazardous activities such as driving a car or operating machinery." 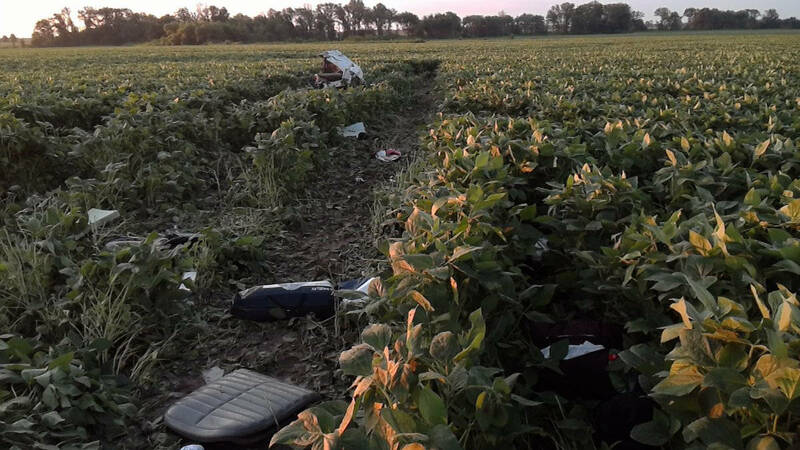 On July 27, 2017, about 0415 central daylight time, a Zenith CH 701SP, N701XP, piloted by a non-instrument rated sport pilot, was destroyed when the it impacted terrain approximately 6.5 miles north of Laddonia, and 16.5 miles northeast of Mexico, Missouri. Instrument meteorological conditions prevailed at the time of the accident. The personal flight was being conducted under the provisions of Title 14 Code of Federal Regulations Part 91 without a flight plan. The pilot and passenger on board the airplane were fatally injured. The cross-country flight originated from Mexico Municipal Airport (KMYJ), Mexico, Missouri, about 0400, and was en route to Oshkosh (OSH), Wisconsin. According to the airport manager, the airplane arrived late in the day on July 26. The pilot said he wanted to get an early start the next morning because he wanted to arrive at OSH when the control tower opened at 0700. 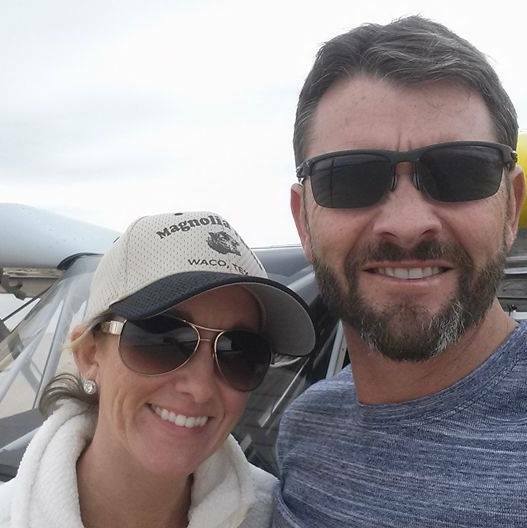 The manager said he believed the pilot and his wife camped that evening next to the airplane. When the manager arrived at the airport the next morning, the airplane was gone. The airplane was later reported missing and an ALNOT (Alert Notice) was issued that evening. The wreckage was located early the next morning. 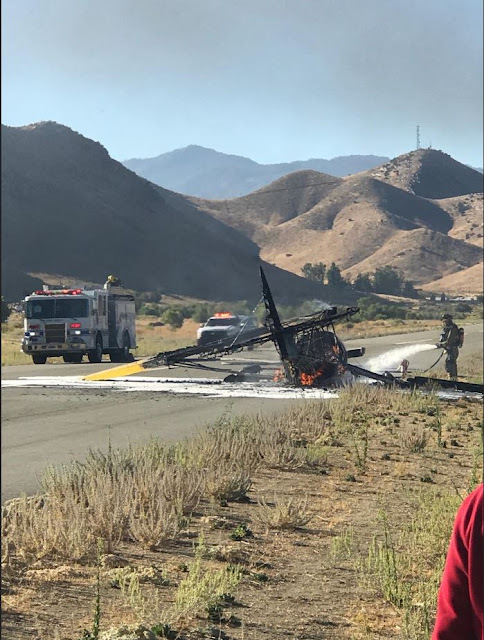 The on-scene investigation revealed the airplane struck the ground in a right wing low, nose down attitude as evidenced by green position light fragments at the beginning of the ground scar, followed by the impact crater. A crushed right wing and relatively intact left wing were located further down the debris path, followed by the fuselage and engine. The debris path was aligned on a heading back towards Mexico. There is no record that the pilot obtained a weather briefing or filed a flight plan. On June 9, 2017, about 0830 central daylight time, an amateur built Angel Hawk II airplane, N335JT, collided with terrain during a forced landing near the Homer Municipal Airport (5F4), Homer, Louisiana. The pilot/airplane builder was seriously injured, and the airplane was substantially damaged. The airplane was registered to a private individual and was being operated by the pilot as a 14 Code of Federal Regulations Part 91 personal flight. Visual flight rules conditions existed near the accident site at the time of the accident, and a flight plan had not been filed for the local flight. The airplane departed 5F4 just before the accident. The pilot reported that he had been having trouble with increased cylinder head temps on the engine, a VW Type 1. During one flight, the engine popped and quit when he was on downwind and he landed the airplane back on the runway. He couldn't get the engine to restart. 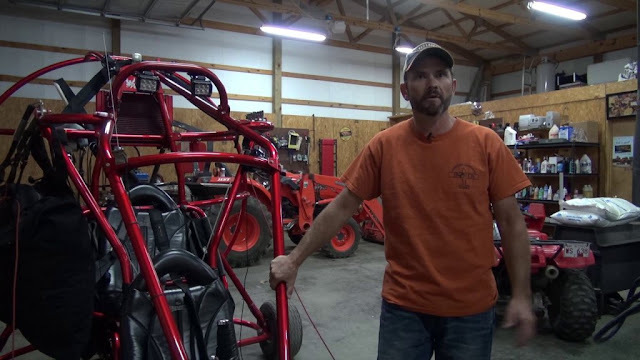 He replaced some ignition system components and adjusted the valves which were too tight. He was then able to start the engine and it ran fine during run-up tests. The plan for the accident flight was takeoff and circle above the runway to make sure the engine was running ok. Just after takeoff, the engine began sputtering. He made a left 180° turn to return to the runway and during the turn, the engine lost all power. He stated that the airplane stalled when he was in the turn and he did not have enough time to recover before contacting the ground. The engine was originally a Volkswagen 1.6L Type 1, which had been converted by the pilot to a variation of the Volkswagen 1.9L Type 4. The fuel mixture adjustment was pre-set at the carburetor and not adjustable in the cockpit. The ignition system included a single battery, ignition coil, centrifugal advance distributor, points, condenser and one spark plug per cylinder. The lubrication system had an added external sump attached beneath the oil drain with steel braided hose connecting to a "spin-on" type oil filter mounted on the firewall. The engine had about 47 hours of operating time since new. A postaccident examination of the engine was conducted by a Federal Aviation Administration airworthiness inspector. The examination revealed there was melted plastic material inside the distributor rotor and the distributor drive shaft. The inspector reported that the condition of the spark plugs was indicative of a lean fuel mixture/high temperature operation. The engine timing could not be determined. On June 9, 2017, about 0830 central daylight time, an amateur built Angel Hawk II airplane, N335JT, collided with terrain during a forced landing near the Homer Municipal Airport (5F4), Homer, Louisiana. 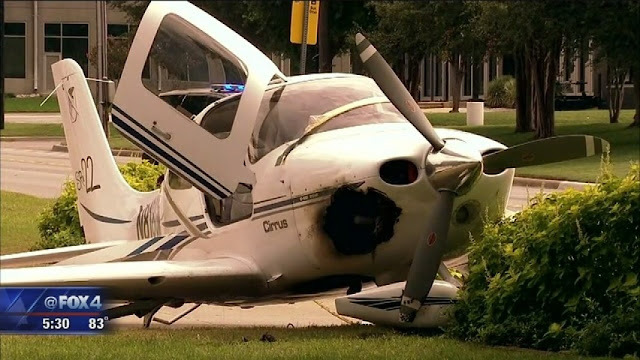 The pilot was seriously injured, and the airplane was substantially damaged. The airplane was registered to a private individual and was being operated by the pilot as a 14 Code of Federal Regulations Part 91 personal flight. Visual flight rules conditions existed near the accident site at the time of the accident, and a flight plan had not been filed. The airplane departed 5F4 just before the accident. The intended destination is unknown. 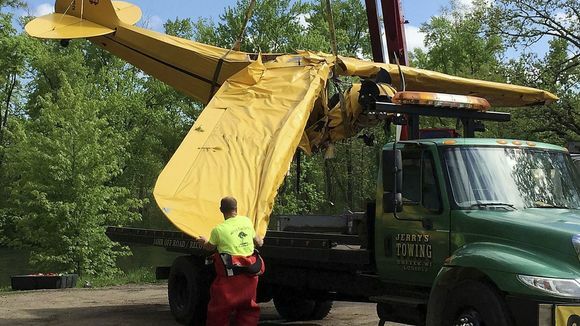 On May 26, 2017, at 1720 eastern daylight time, an Amstutz BD-5B amateur built airplane, N604KA, was involved in an off airport forced landing, following a loss of engine power in Portland, Indiana. The pilot was not injured. The airplane was substantially damaged. 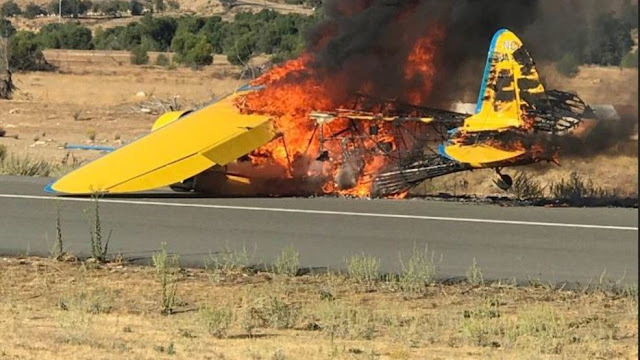 The airplane was registered to and operated by an individual under the provisions of 14 Code of Federal Regulations Part 91 as an engineering test flight. Visual meteorological conditions prevailed for the flight, which was not operated on a flight plan. The local flight originated from the Portland Municipal Airport (PLD), Portland, Indiana, at 1650. The pilot reported the airplane had 5.8 flight hours since he completed building it and the purpose of the flight was to obtain rate of climb data. Following the 6th climb, while at an altitude of 3,500 ft above mean seal level, the engine began to run rough. The pilot entered a left downwind at PLD and descended for a landing approach. The pilot reported he switched fuel tanks and performed a magneto check, neither of which corrected the engine roughness. The pilot noticed the cylinder head temperature and the exhaust gas temperature for the No. 1 cylinder decreased, indicating the No. 1 cylinder was not firing. As he turned onto base leg, the engine lost all power. The pilot realized he was not going to be able to make it to the runway, so he selected a field in which to land. The field contained 3 ft tall vegetation and was soft from recent rain. About 170 ft into the landing roll, the landing gear collapsed, and the airplane ground looped which resulted in damage to the flaps, ailerons, and horizontal stabilator. The airplane was equipped with a 2-cycle, 2-cylinder Hirth 3203E engine. A postaccident inspection of the engine by the pilot revealed there were separated wires in the connectors between the engine control unit (ECU) and the fuel injectors for both the No. 1 and No. 2 cylinders. The wires for the No. 1 cylinder connector appeared to be crimped properly with the insulation reaching the crimped connector. The pilot tugged on the wire and about 1/2 inch of the copper wire came out of the insulation. The pilot removed the connector for the No. 2 cylinder and found a broken wire at the splice connector that he had installed the month prior to the accident. The pilot stated that the engine was about 15 years old, even though the engine had 15 hours of total operating time. It is unknown when the No. 1 cylinder connector was installed on the engine. The pilot reported the airplane had about 6 flight hours since he completed building it and the purpose of the flight was to obtain rate of climb data. Following the 6th climb, while at an altitude of 3,500 ft above mean seal level, the engine began to run rough. The pilot entered a left downwind and descended for a landing approach. The pilot reported he switched fuel tanks and performed a magneto check, neither of which corrected the engine roughness. As he turned onto base leg, the engine lost all power. The pilot realized he was not going to be able to make it to the runway, so he selected a field in which to land. The field was soft from recent rain and it contained 3 ft tall vegetation. About 170 feet into the landing roll, the landing gear collapsed and the airplane ground looped before coming to rest.